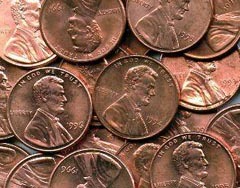 One on-line stop can help you pinch pennies. It&apos;s a website from Lieutenant Governor Barb Lawton, who says it&apos;s obvious that residents around Wisconsin are facing tougher economic challenges. “We don&apos;t have . . . a lot of time to search and hunt and look for the ways that we can manage better,” said Lawton. The new on-line resource serves as an aggregator of helpful state and federal government information, along with links to useful private-sector and news websites. Lawton says the site was inspired by the rise in costs of virtually everything, from gas to groceries to prescription drugs.